Our room's sea view was wonderful. Stephanos was very very helpful, also he has a deep dive knowledge about the city and entertainments. Room was very clean, and location is super. Away from the downtowns noise and tarffic, but also very near..it takes 5 min. by car. Konasrantinos was amazing and always available when we need him. It's a warm atmosphere far from the overpriced "not so inspiring" hotels of Mykonos. Simple and Clean. The view, the staff, the simplicity,the quite,the cleanliness,so close to beautiful beaches. Lock in a great price for Fos Suites – rated 8.3 by recent guests! One of our best sellers in Agios Ioannis Mykonos! 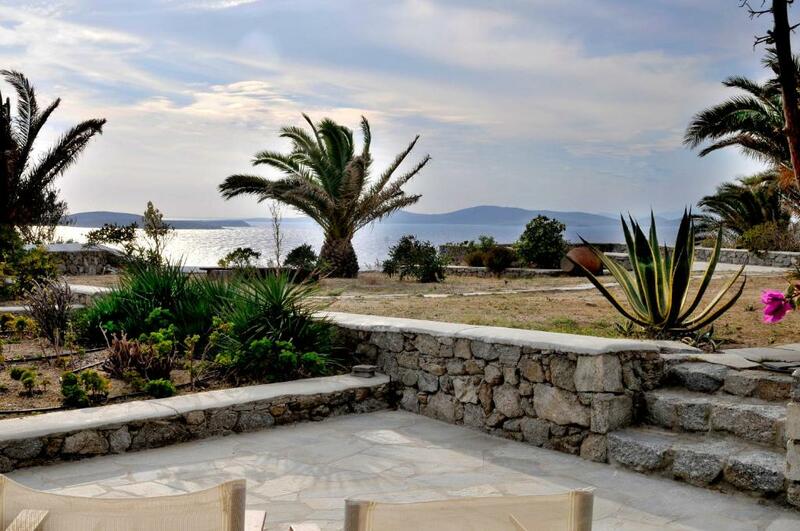 The stylish Fos Suites is a 5-minute walk from the beach and features accommodations with free Wi-Fi and a balcony overlooking the Aegean Sea and Delos Island. 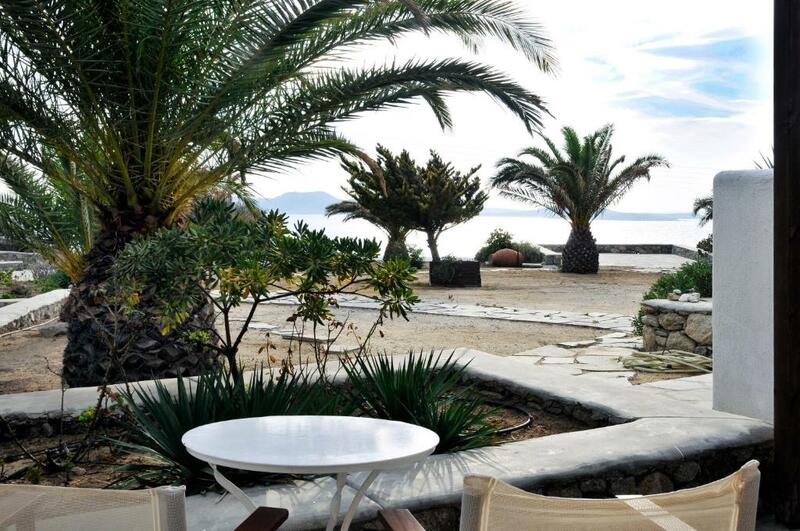 It is located in Agios Ioannis, in western Mykonos. 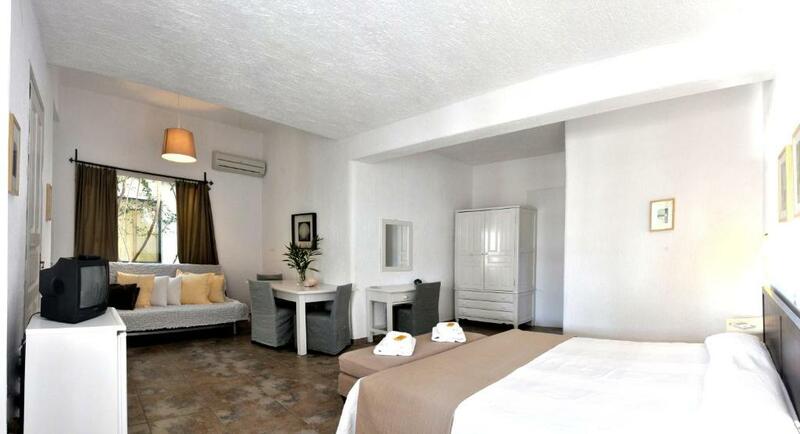 Individually decorated in soft earthy tones and white washed walls, the spacious suites are air conditioned. Each offers a TV, safe, seating area and kitchenette with electric kettle and fridge. A shower and free toiletries can be found in the private bathroom. Restaurants providing Mediterranean flavors are 500 feet from Fos Suites. The bustling town of Mykonos is at 2.5 mi and Mykonos Airport is a 10-minute drive away. Transfers to and from the airport are available upon request with surcharge. Complimentary private parking can be found on site. When would you like to stay at Fos Suites? Boasting breathtaking views of the Aegean Sea and the island of Delos from its stone-paved balcony, this spacious suite is decorated in soft tones. It includes air conditioning and features a kitchenette with electric kettle and fridge. A safe, TV and seating area are standard. The bathroom is stocked with free toiletries. Boasting breathtaking views of the Aegean Sea and the island of Delos from its stone-paved terrace, this suite is decorated in soft tones. It includes air conditioning and features a kitchenette with electric kettle and fridge. A safe, TV and seating area are standard. The bathroom is stocked with free toiletries. This studio has a seating area, air conditioning and kitchenware. House Rules Fos Suites takes special requests – add in the next step! Fos Suites accepts these cards and reserves the right to temporarily hold an amount prior to arrival. Please inform Fos Suites of your expected arrival time in advance. You can use the Special Requests box when booking, or contact the property directly using the contact details in your confirmation. 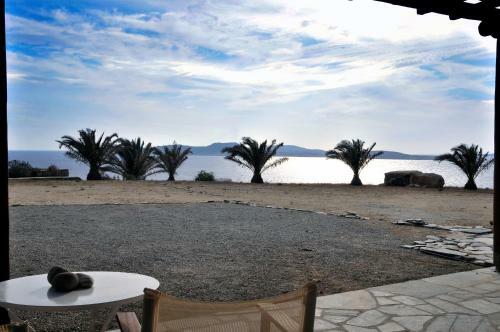 Away from the noise of Mykonos town but only a bus ride away. Friendly staff and immaculately clean. 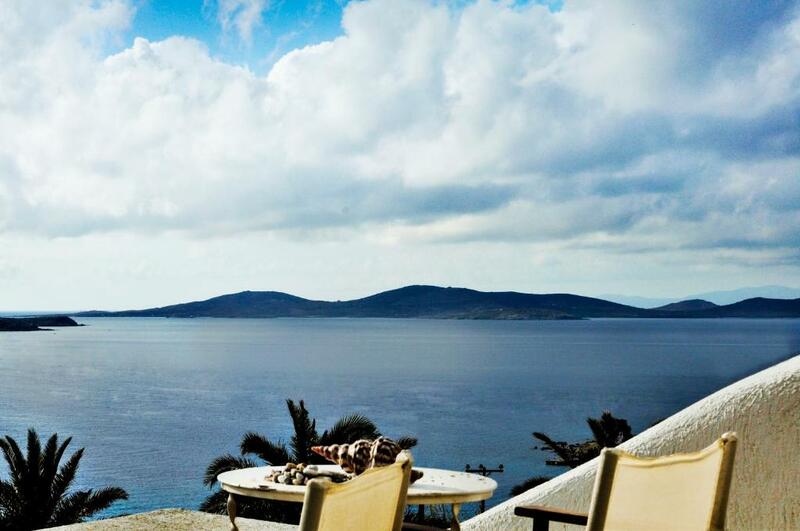 A great view of Delos island from our room. My girlfriend and I staying in Mykonos for 4 days and was the second place on our island hopping adventure. The studios are located about a 15-minute bus journey from the main bus station in Mykonos town – Fabrica. Although some distance from the main town there is a bus stop immediately outside so a decent connection to main places on the island. That is if you don’t hire a car/bike to get around. Either way the studios are in a good location. The nearest beach is less than a 10-minute walk and there are some fantastic restaurants nearby. The room itself was well suited for our stay with cooking facilities and an amazing view to enjoy any food we prepared – with an exceptional view of the sunset. It was a very clean and very comfortable to sleep. Konstantinos, who was very friendly and helped us shape our stay, greeted us upon arrival. He heavily annotated the map that we collected on the way to the studios with places he recommended we go. This was very useful and allowed us to really enjoy our time. For someone looking to stay in a quieter part of the island but remain well connected I highly recommend staying here. 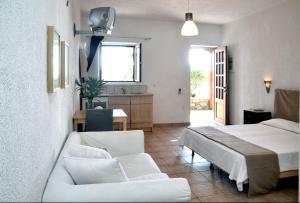 The rooms are very basic for the value of money , it could be much better since the location is great . The shower was not so comfy. The house was located at the top of the hill, offering a breathtaking view. Host and facilities were excellent. I suggest to watch the sunset from the amazing view point. If I ever go back to Mykonos, I’ll definitely book it again! Really fantastic view. Lovely room. Staff very nice and really went the extra mile. Even spent quite sometime getting a coffee stain out of my hat. Kept fit with daily walk down the hill to Ornos where we recommend the great bakery at the main intersection. Loved To Opomero restaurant also. The closest restaurant 200m down the hill the other way called ballissimos was quite decent and not badly priced by Mykonos standards. Fantastic beach with no loungers or umbrella''s. Go down hill to end of the road and follw dirt road to the right for another 200 m. Stunning.